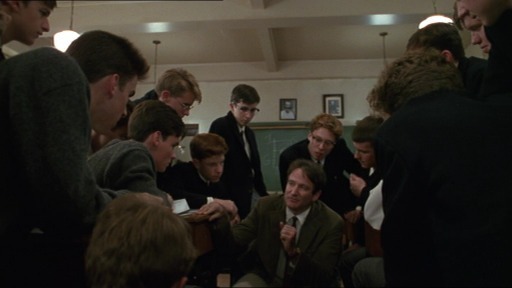 Originally released in Australia in July 1989, this movie became much loved by English teachers, who would play it in order to inspire their students – and it worked. Many Aussies are not aware that it was directed by an Australian director – Peter Weir. 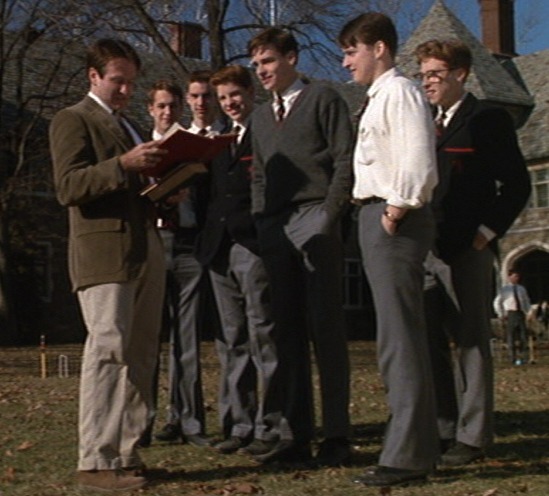 Dead Poets Society had many messages within it but probably the most well known one is Carpe Diem – Seize The Day. To me the deeper message was about people trying to push you down a path you do not want to go down. All these kids sent to boarding school by their parents with their entire lives mapped out in front of them, everything riding on how well they do in school, high expectations being placed on people without ever asking the kid – what do you want from your life? What do you want to do, what career do you want? This message came at the same time that important decisions about my own future were being made. In the school system I was in, you could either go the “mainstream” way which was a path designed towards you studying maths 1, maths 2, physics, chemistry and biology in Year 12, or you could go towards music, drama, photography, home economics, latin, languages, the types of creative things which I felt drawn towards. I had a maths teacher who really saw potential in me but my potential was not maths related. In fact I hated maths, and he recommended to me and my parents that I steer well clear of the subject. I’m very grateful to him for that. Reasons why I love this movie. 1. 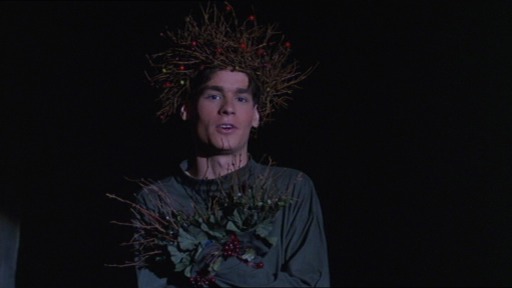 Robert Sean Leonard as Neil. His performance in this role is incredible. I really don’t have the words to describe the brilliance of it. 2. 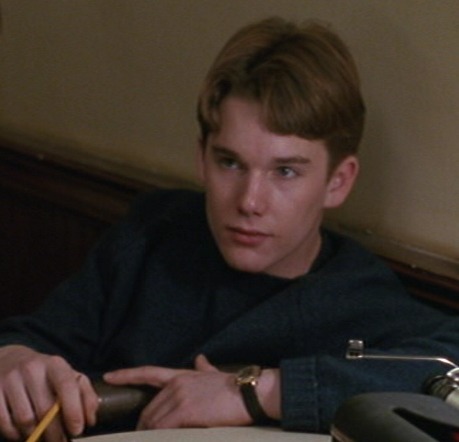 Ethan Hawke – This was his third movie ever, and certainly the one which provided a launching pad to his later career. 3. The boys – some incredible performances from Josh Charles as Knox Overstreet, Gale Hansen as Charlie Dalton, Allelon Ruggeiro as Steven Meeks, James Waterston as Gerard Pitts, and Dylan Kussman as Richard Cameron. Watching them act is a true pleasure. 4. 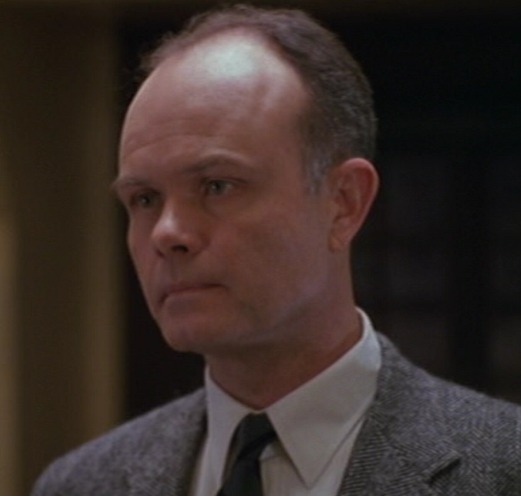 Kurtwood Smith as Neil’s father. It’s easy to just see him as a bad guy but his role is very understandable. What parent doesn’t want the best for their kid? Many parents think they know what is best, what career they want for their kid, and a lot of them push much harder than Neil’s father did. 5. The school. The film was mostly filmed at St Andrews School in Delaware. The location was also used in the West Wing episode “Two Cathedrals” and being such a fan of DPS, I recognised it right away. It is an absolutely beautiful location and adds much beauty to the film. As you see. 6. 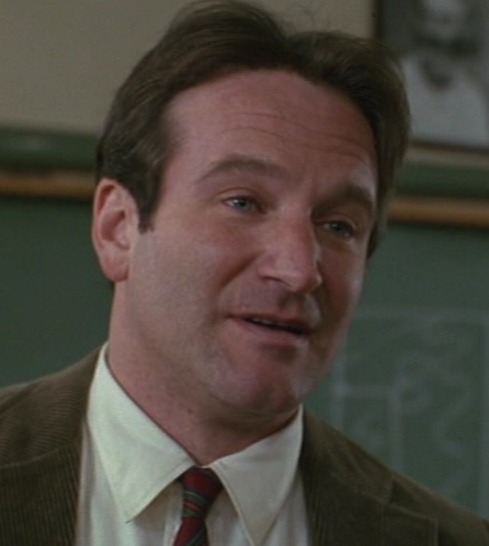 Robin Williams as John Keating. Out of all the movies Robin has been in, I believe this is his best performance and certainly my favourite. He is inspirational as the teacher with a difference. 7. Cinematography by John Seale* – another Aussie, and looking at the list of movies he has been involved with it is no surprise to me that many of them are on my dvd shelves. I’m not an expert in cinema or anything but the way this movie was filmed, the way the camera lets the story be told, it is incredible to watch. 8. Shakespeare. 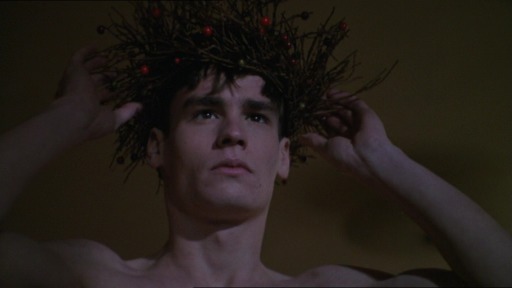 The play in the movie is A Midsummer Night’s Dream and Puck’s ending speech has become very well known because it appeared in this movie. It’s always nice to have a bit of Shakespeare around and it somewhat inspires me to review Shakespeare in Love next, which I have been meaning to do for a long time. 9. The ending of the movie. If you have not seen it I am not going to spoil it for you. Those who have seen it know what I’m talking about. 10. The poetry. Truly, it stars in this movie. I don’t want to spoil any of that for you either, if you’ve not seen it. Quite a lot of this movie is available on Youtube. I would suggest if you have not seen the movie go and buy it on DVD and watch it from start to finish because little clips of this movie really aren’t enough. 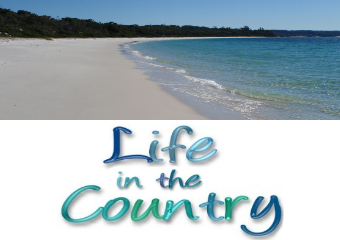 * Re John Seale, Oddly enough, he was involved in the filming of a movie called The Survivor which was filmed not very far from where I lived in Adelaide, at Pasadena – and many Adelaideians would remember going to watch the filming. I was like 5 or 6 at the time but I still remember the images clearly. It involved the crash of a 747 which in itself was fascinating. ← US bloggers wanted.. spread the word. Good review of an excellent movie, one of my favorites. I don’t know if I’d have appreciated it as much if I were say, age 16 to 22 but my (mostly) adult mindset likes it. A lot. And regarding Robin Williams, have you seen “Hook?” Another great role for / by him. Excellent review. Robin Williams’ acting can be hit and miss, but he’s on fire in this film. 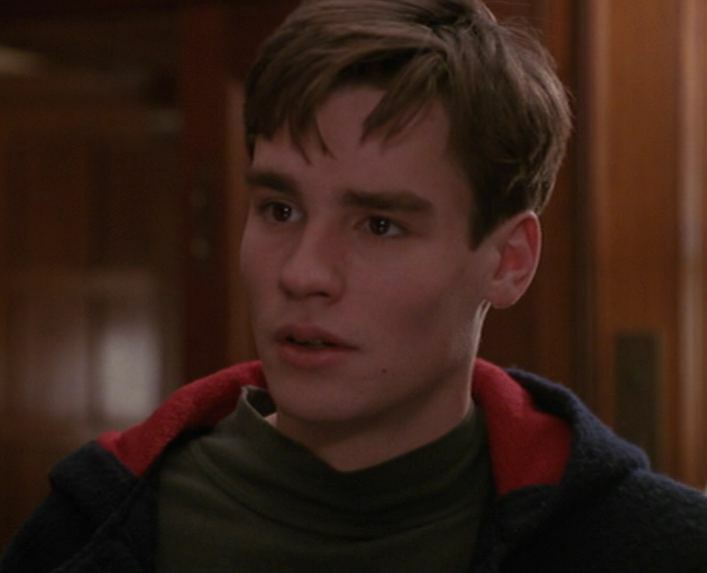 Excellent review of Dead Poets Society, one of my favorite movies. Everytime anyone asks my favourite movies, I always forget this one. But whenever I am reminded of it, I remember it’s sublime brilliance. I remember being shocked at what happened to Neil because this is an American movie. And things like that don’t happen to heroes of movies. Moving, intelligent, delicate and beautiful. If Williams never did anything else, this would make him a great performer. But of course, he’s done so much more. I love this movie, it has such power and feeling. When Todd resites the poem and the ending are my favourite scenes.